By Registering your Email ID with Axis Bank Account you can get monthly email statement in your inbox. No need to visit bank to update passbook. You can also generate e-statement of any time. 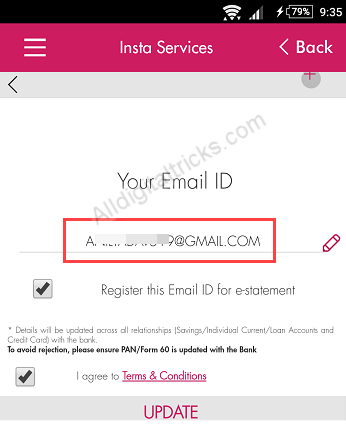 If you have email address then i suggest you register it with your Axis bank account. The good thing is, to do this you don’t need to visit bank, you can register email address with your account online. 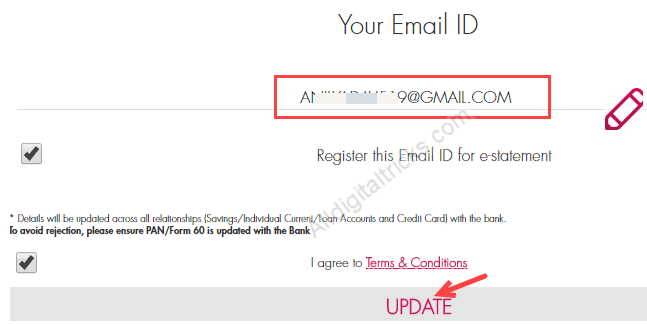 Here we will show you 3 methods which allow you to register or update your email address with Axis Bank account. By following below three methods you can easily register/change your email address online trough net banking, mobile banking and SMS. You can update or register an email address with your account on Axis Mobile Baking Application. 1 Login to the application first. 2 After login, open menu options and tap on Insta Services. 3 In the next screen, you have to tap on Contacts and then tap on Update Email ID. 4 Now type your email address and tap on update button. Soon you will receive success message. 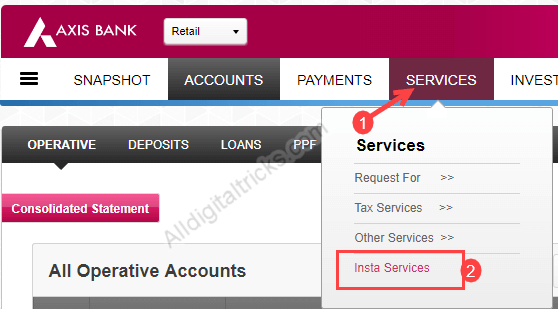 You can also use Axis Bank Internet banking facility. 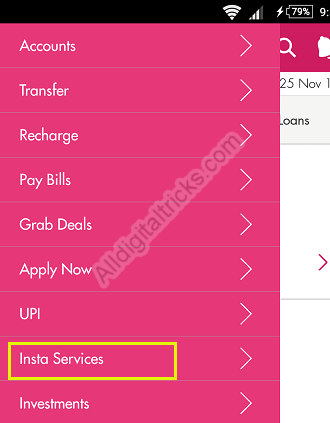 1: Login to Axis Bank Internet Bank first. 2: After logging in, you have to click on the Services tab. In Services click on Insta Services. 3: Now you have to click on Contacts and then click on Update Email ID. 4: Type your email address and click on update. 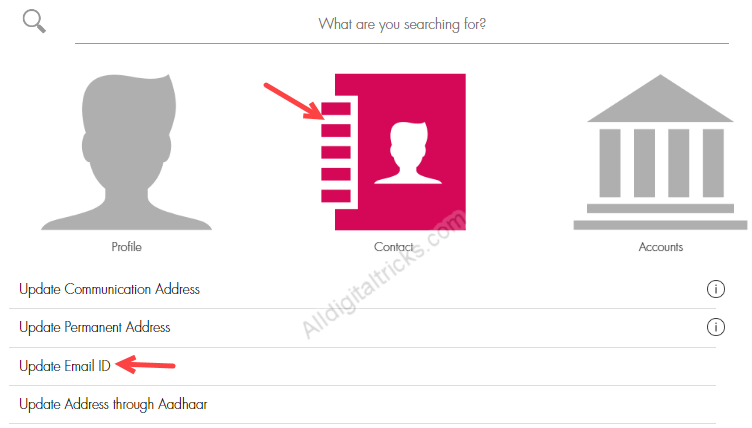 This is the easiest way to register or change your Email ID with Axis bank account. 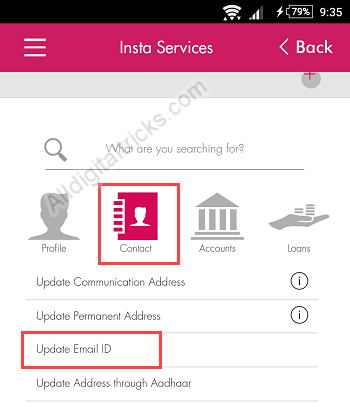 So following these 3 methods you can register or update email address with your Axis Bank Account. You can use this feature to get monthly e-statement.